While we didn’t conduct this interview, our good buddy and friend of the Krypt, Aaron Christensen did and it is well worth your time. Mr. Burr is one hell of a nice guy, who I’ve had the pleasure of meeting a couple of times over the years and doesn’t get the credit that he should. 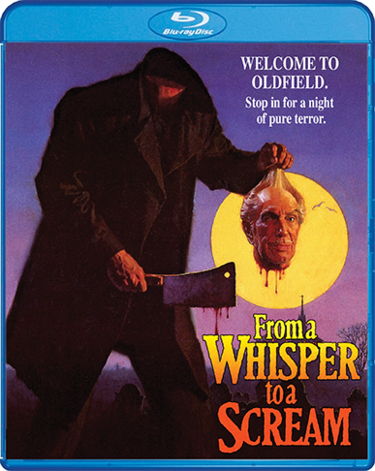 So not only would I sugguest everyone pick up a copy of Shout Factory’s latest release, From a Whisper to a Scream, but take a few minutes to read AC’s interview with Burr. Just click HERE to get to the interview. Happy Monday Everyone! And if it’s Monday, that must mean a new Mystery Photo! But before we get to this weeks, let’s reveal what last week’s photo was. As much quite a few thought it was Blood from Satan’s Claw, it was not. But I can totally see where that guess would come in. And since we got more emails with that answer than the correct one, don’t feel bad if you were one of them. But the correct answer is another British film, Curse of the Werewolf. 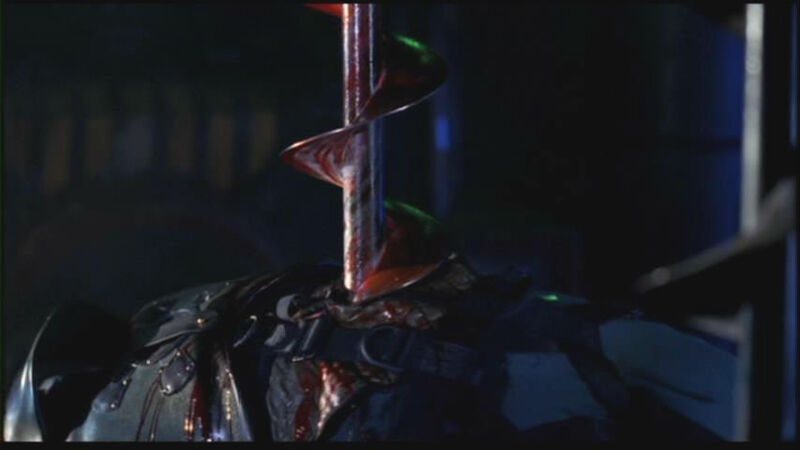 The ones that did send in the correct answers were: Hoby Abernathy, Aaron Christensen, Doc Phibes, and Gavin Schmitt. So congrats to all of you. And now on to this week’s photo. Might be easy. Might be hard. We’ll let you decide that. Take a peek, think a bit, and then send in your answer to us at jon@kitleyskrypt.com. Good luck! Now that is one name that most of us horror fans do not recognize. But if wasn’t for Mr. Umann, we might not have ever got to see Universal’s Son of Frankenstein, as well as the monster films that followed thereafter. 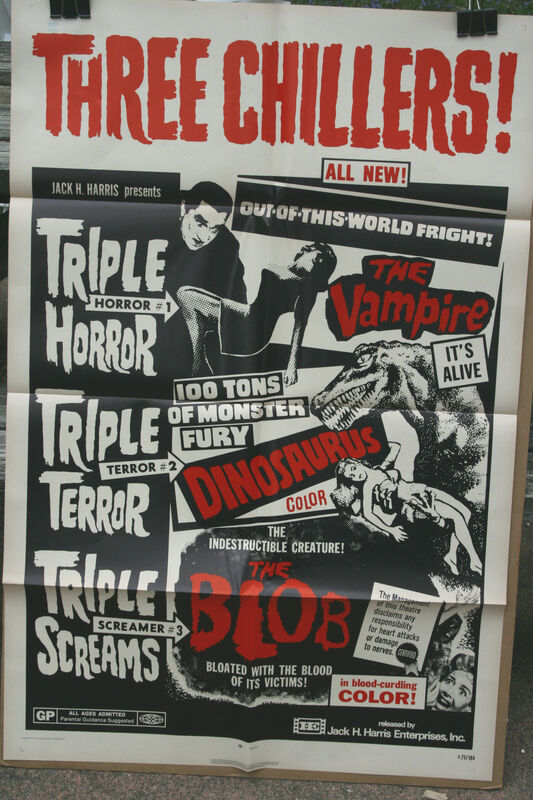 But what exactly did Mr. Umann do to cause this resurgence of the Universal Monsters? 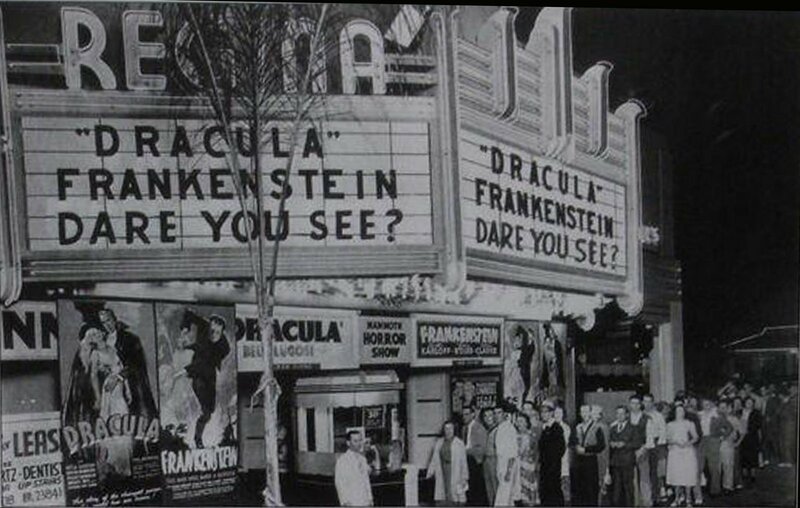 Once Universal heard about this and the business the theater was doing, they immediately ordered 500 more prints of Dracula and Frankenstein and started renting them out around the country for a double bill. Of course, these rentals were at a much higher rate, so much higher that Umann couldn’t afford to keep them pass the original commitment. In fact, Universal reported in making over $500,000 in new film rentals. So nice of Universal to show such gratitude to someone who showed them how to make so much money. And it was because of this newly discovered interests in these movies that Universal quickly rushed another entry in the Frankenstein series, which would become Son of Frankenstein. Not only would it be the last time Karloff appeared as the creature, but it would also give Lugosi a chance to give one of his best screen performances on his career, as Igor, the twisted-neck friend of the creature. So to people like Emil Umann, we here at the Krypt salute you for what you did, bringing back the Universal Monsters from their grave. Another dealer that I’ve met years ago was Barry Crawford, aka Clayguy! 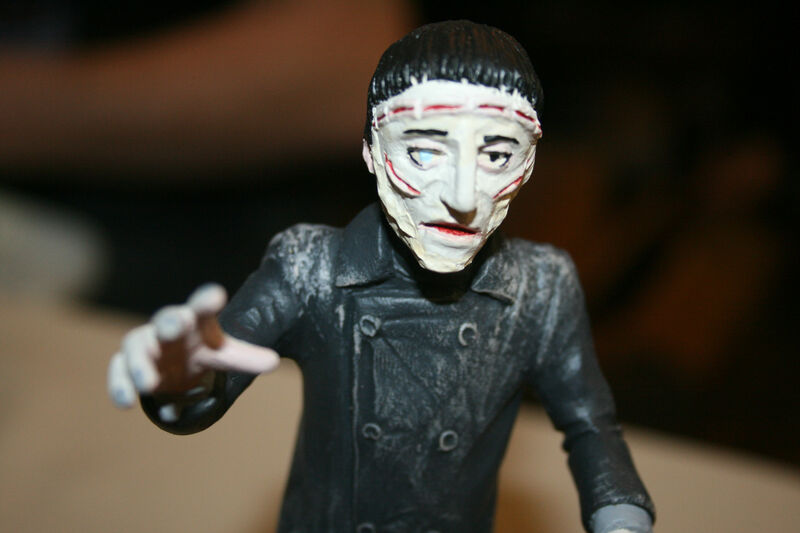 Barry creates some incredible pieces of art….little figures from the movies we love out of clay, really capturing the essence of these demented characters. They almost look like they would be in a Tim Burton animated film. I have picked up a few of his pieces for my son over the years. The great thing about Barry is that he doesn’t just do what might be the obvious choices for his subjects, but does some pretty obscure characters as well. Just by browsing over his table, you’ll see Victor Crowley from Hatchet, Corbis from The Devil’s Rain, Meg Halsey from Re-Animator, and so many more. Granted, most of the horror/cult fans coming by his table recognize them right away. It also helps that Barry is a super nice guy and we’re always happy to see him setting up next to us. Ok folks, I knew this last one was going to be a toughy but like a lot of the photos that I use, I wanted to draw some attention to the film, some more than others. And this last one was a perfect example. So don’t feel bad if you didn’t know it. Trust me, it’s a tough one. But make sure you remember the name, because if you ever come across a copy of it or the chance to see it, you’re going to want to. The shot was from a made-for-TV movie back in 1973 called A Cold Night’s Death, which starred pretty much just Robert Culp and Eli Wallach, and a few monkeys. Granted, I’m a sucker for made-for-TV movies of this era, but I would highly recommend this one. Kudos to Aaron Christensen and Will Wilson for sending in the correct answer. So…after that last one, I figured I’d go with one that might be a little bit easier….maybe. Take a look and see what you think. Just drop us an email at jon@kitleyskrypt.com with your answer. Since I’ve been going to and setting up at cons for many years, you get to know and make good friends with the different dealers at the shows. Especially when they always have some great deals at their tables! One of these guys is Cory Glaberson, who a couple of years ago opened up a store in Berwyn called Reel Art. You can find some incredible things at this place, and a lot of them at some very decent prices. 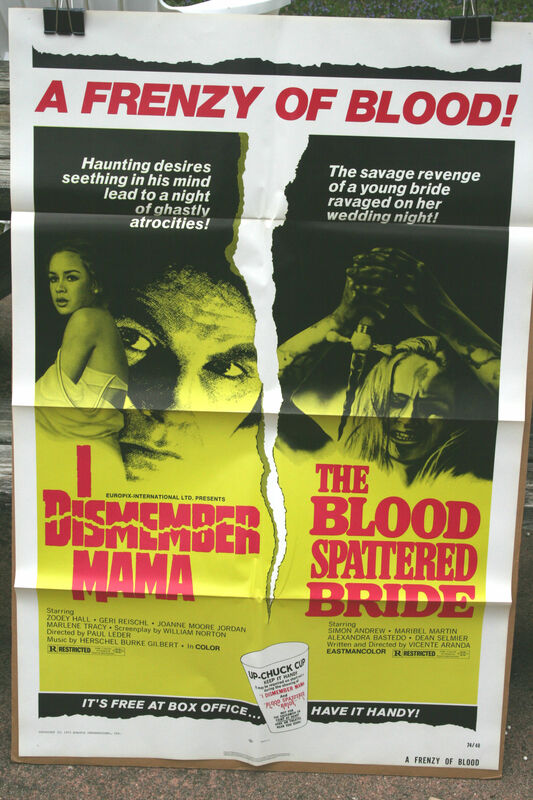 For example, recently at a convention, there was a dealer selling an American 1-sheet for The Burning for $195! Granted, this gave a lot fo us poster collectors a good laugh at the outrageous price. Hopefully nobody dropped that kind of cash, because if you were to head over to Reel Art in Berwyn IL, you could find this very same poster for…ready? $45. And even better, if you go to one of his warehouse sales that he holds several times a year, you could even get it for 1/2 of that price. The reason I’m bringing this up is for a couple of reasons. First and foremost to point people to Reel Art because you can really find some great deals there. Sure, you might have to do some digging, but a lot of times that is the fun part about being a collector. The second reason is to do a little bragging at some of the posters that I picked up for them yesterday at the Sci-Fi Spectacular here in Chicago that they were set up at. These two posters were normally price at $45 and $35, but then were 1/2 off. So I got both of them for $40. Now I call that one hell of a deal. I’m a sucker for double and triple feature posters and have a strong feeling that both of these are going to be getting hung up pretty quickly in our movie room. Just need to find another double or triple feature poster to go along with the theme! But if you’re in the Chicagoland area, I’d make sure stopping at Reel Art in Berwyn is a priority. And also make sure try and hit one of their warehouse sales. But be warned….it could get costly since you’ll find so many great deals. You can also see them set up at many different conventions throughout the year. Check out their website HERE for all the news, such as when and what shows they will be set up at, as well as when their next warehouse sale might be. Sci-Fi Spectacular – Free Autographs! It has been a while since we’ve been to a movie marathon so I think it is about time. This Saturday, we’ll be heading into Chicago to the Patio Theater for this year’s Sci-Fi Spectacular, which features “16 Hours of Sci-Fi and Horror Madness”, though according to the lineup, it only goes to about 2:30am, which is about a feature short of 16 hours. But no worries, because they have a great lineup of titles that will be great to see on the big screen, no matter if they are DVD projection or from a film print. They also have a couple of guests that will be there, but will also be signing FOR FREE! See that…it is possible to get some guests for an event that don’t charge. Plus, along with that signature, you can get your picture taken with them, again FOR FREE! Jack Sholder, director of The Hidden, Alone in the Dark, Nightmare on Elm Stree 2, almongst other titles, will be there, along with actress Jennifer Rubin, who appeared in Screamers, The Wasp Woman, Bad Dreams, Nightmare on Elm Street 3, as well as a few other titles out there. Plus there will be vendors, short films, and plenty of other cool stuff to keep you awake and entertained.